ClickUp was on The Profit? Come again? 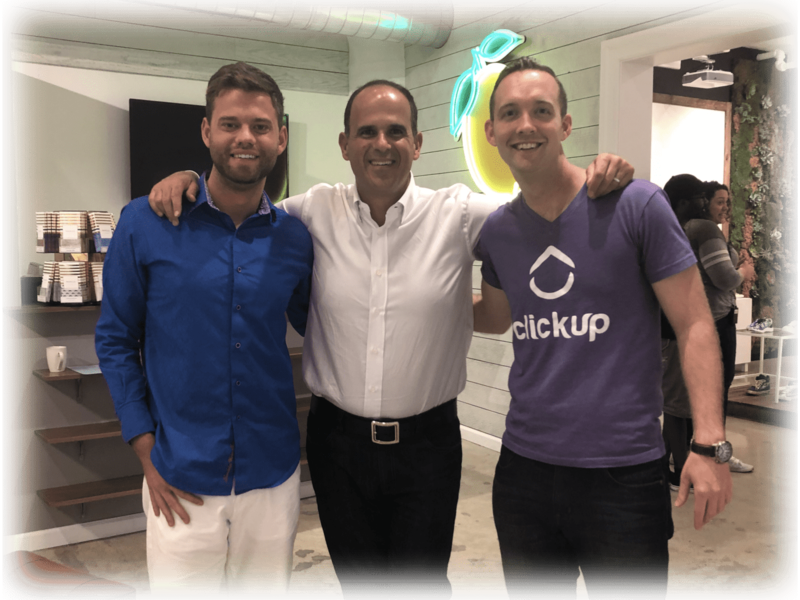 Zeb Evans, our founder and CEO, and I have been watching The Profit together long before he even started ClickUp and we started the journey to save project management and make the world a more productive place. It’s easily one of our favorite shows because we hate bad business practices and love watching them get solved. Marcus Lemonis, the star of the show, has always embodied and follow processes that we feel truly work in running successful businesses. Little did I know, Marcus and I would cross paths in one of my prior jobs and we kept in touch. He recently asked me what I was working on next and I told him about ClickUp and our mission to help the world be more productive. He loved everything about it and continued to reach out to me asking more and more about the software as we grew. Next thing I know on a random Tuesday afternoon I get a text from Marcus asking if we can be in Los Angeles to help a company of his the next day… the next day? Not just a consultation. He meant being ON THE TV SHOW. Zeb and I quickly knew this was an opportunity we couldn’t pass up. The very next morning we hopped on a plane and went straight to LA. With neither of us ever being on TV before, needless to say we were quite curious of how this would all go down. On the plane and at the hotel, we were scrambling to write out a script outline for what we would say. When walking to Marcus’s office in the distinctive in Los Angeles, we were excited and had no idea what to expect. I felt motivated as soon as I stepped off the elevator! It was amazing to see that so many of the companies we’d seen on the show were truly all working together under one main roof. The camera crew told us this is so Marcus can check on his companies while flying in to film. Two birds. One stone. Once we got there, I was waiting for someone to tell us how this would all go down. I soon learned I wouldn’t figure any of that out. Apparently, Marcus likes to walk straight in and let things flow naturally. I’d always believed ALL TV was staged until this point. So there we are getting our mics set up patiently awaiting Marcus to walk in. From there, nothing happened as I imagined it would. This may sound negative, but it was truly amazing! Marcus literally gave us a 10-minute overview and from there we walked into a conference room on LIVE television. We assessed the situation with Charlotte and the team from Everkin. As you can see in the episode, Charlotte and her team had quick deadlines with several moving parts. They had to coordinate logistics, marketing, design, financials and more. Because of the dynamic flexibility of ClickUp, we were able to help her organize all of their projects with one solution…and get them ready for their successful meeting with T-Mobile! ClickUp is the one tool where you can bring everything into one central location. 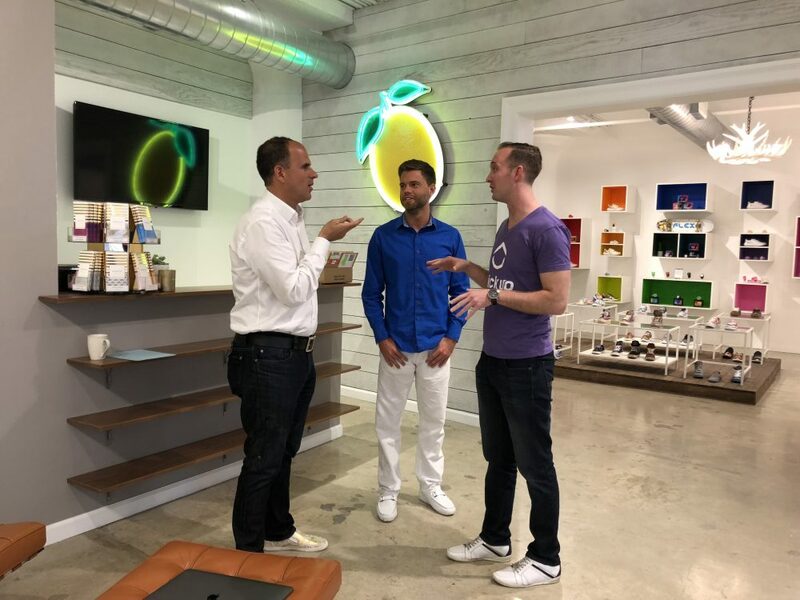 Our time on The Profit was unforgettable and it was an amazing opportunity to be with Marcus and the Everkin team. What did you think of ClickUp on The Profit?